What a great post! I am so glad that all of your adventures had a happy ending. You are so lucky to have a husband like K…….and he is lucky to have you, too. Kirsten, it’s definitely not just you. 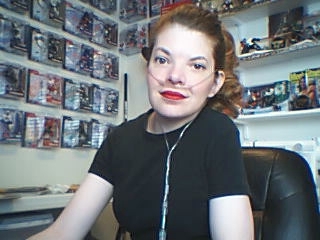 *hugs* I’m using my little portable oxygen cart more and more instead of carrying the just portable when it’s just me getting out of the house. It was so good to read your update and I’m glad to hear you are still getting out and about to keep your spirits up. and thank you for sharing about the way you and your husband care for each other. I am keeping you in my prayers. My condition is not as severe as yours, but I am on O2 24/7, and have pills and nebulizers to deal with so I can relate a little bit. I just bought a Fitbit (my daughter has one) to track my steps and particularly my sleep. Getting a decent night’s rest is important to help keep the energy up during the day (as if you didn’t know that). Thank you so much for the prayers. I truly appreciate it. How do you like your Fitbit? Pretty accurate? Sometimes I feel like I could sleep all day! Haha! *hugs* I hope you are feeling well. I always enjoy your writing and hearing what’s going on with you. Thank you so much Marlene! I hope are doing well! !